Share your thoughts in a beautiful way. 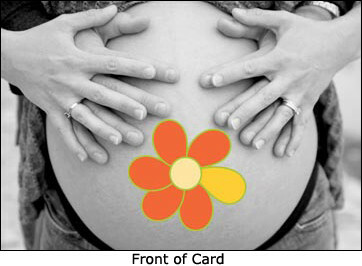 You can spread your message of love for mamas, bellies, babies and placentas with these unique note cards. These cards have the PBi Flower Belly on the front of the card, with a small PBi logo on the back. They are blank inside for you to write your own message.